After much debating, and many, many, many attempts I frogged my Cherrywood Scarf tonight. I agonized over this decision, but I decided that for me knitting is about the enjoyment of the activity not about the fortitude to continue on with a project I don’t enjoy working on. For every death there is new life … I just cast on Springtime Haruni. 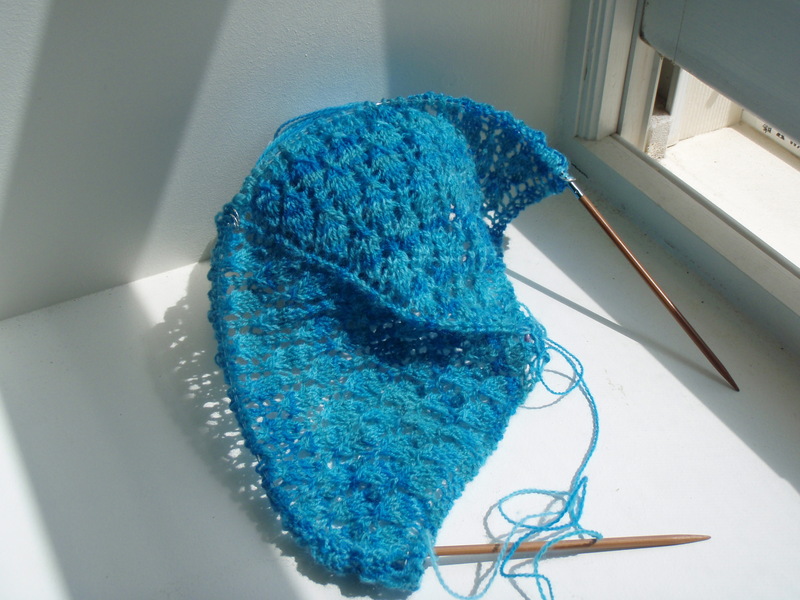 I am really enjoying making shawls and using Knit Picks lace yarns. They are not as scrumptious as my Malabrigos and my soon to be arriving Handmaiden Sea Silk. These projects are practice for my future Dancing Crane Stole made of Elann Silken Kydd. You know having options when choosing ice cream or underwear, options make everything better. That goes for knitting too. After a year of acquiring Chiagoo Bamboo Needles, I decided it was time to invest in some Knit Picks Options. I am now the proud owner of tips size US 4-10 in both the Nickel plated and the Harmony wood. I also have the cables in 24″ (4), 32″ (2) and 40″ (2). I decided against getting the kit in favor of a la carte because I had purchased the Try-It set a few weeks earlier and I am loathe to have repeats, and I rarely knit anything larger than a US10 (6.00 mm) and so it was not worth it having up to 13 for me. I may very well acquire these at a later date, but that is the joy of Knit Picks, I can get them later for not a whole lot of money. My intention is not to advertise for a company I patronize frequently, but rather as a means of suggesting an annoying lesson my Dad has been preaching for year. 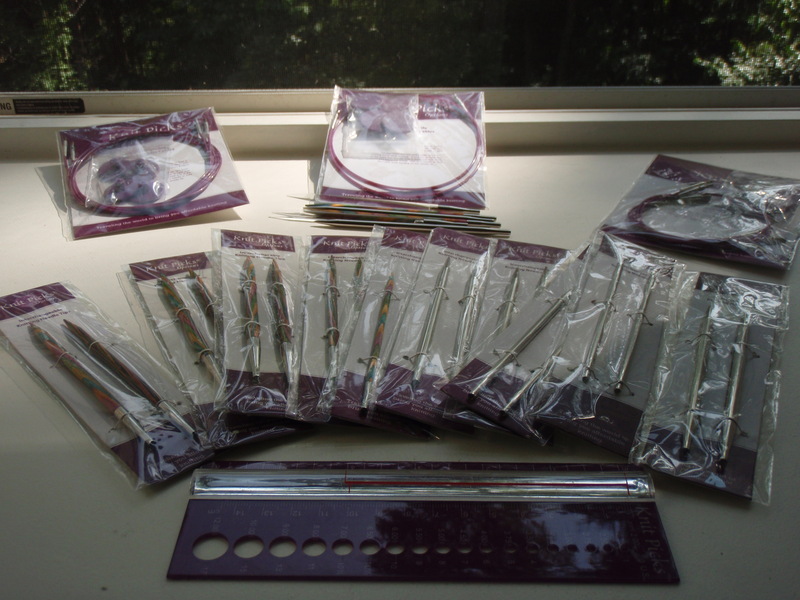 I spent around $100 getting a needle set I wanted (the KP Options) but in the year before that I have spent at least $100 on the Chiagoo needles that I am now going to give away or store. So basically, get the set you want spending more money now can save you money when you decide to get them later. I have previously applied this logic to many other purchases, but picking up needles one at a time at my former LYS I never really did the math on my cost. Generally, these needles have been great. While working on the nupps on the Robin’s Egg Shawl I found it was great to use on nickel and one wood to make the perfect combination of slick and stick. Those are the kinds of options I like. Also, these needles are sharp, they look good and are really, really pointy! And here are the photos I promised you last time. 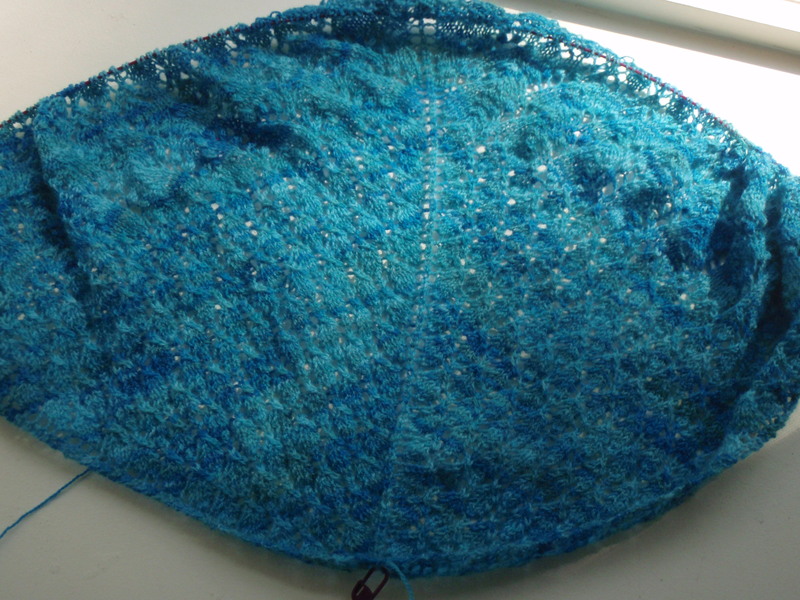 The Robin’s Egg Shawl has been moving along just fine. The nupps were interesting, not my favorite thing, but they have such a great effect. 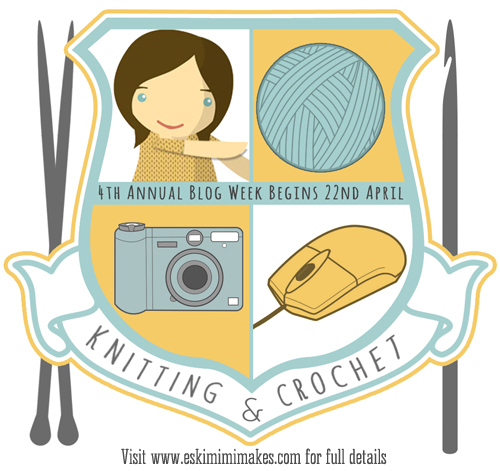 Life is more fun with Options, knitting and otherwise. So, I managed to survive the budding vine lace and I have been working on the lily of the valley lace section. This is where we ran into the nupps. I must say that they are not nearly as frustrating as I had anticipated (based on knitter/internet lore). Here is what it looks like … Okay, I can’t find my camera, but they are very cool. Overall I have been quite happy with this pattern. It is just interesting enough to keep me engaged but not so much that I cannot enjoy an episode of Eureka or Warehouse 13 while I knit. Oh and I have yet to knit another stitch on the Cherrywood Scarf and I am starting to get concerned if I will ever finish it. I have a new item to welcome to my collections of UFOs, welcome Robin’s Egg Shawl based on the Swallowtail Shawl pattern (Ravelry)! 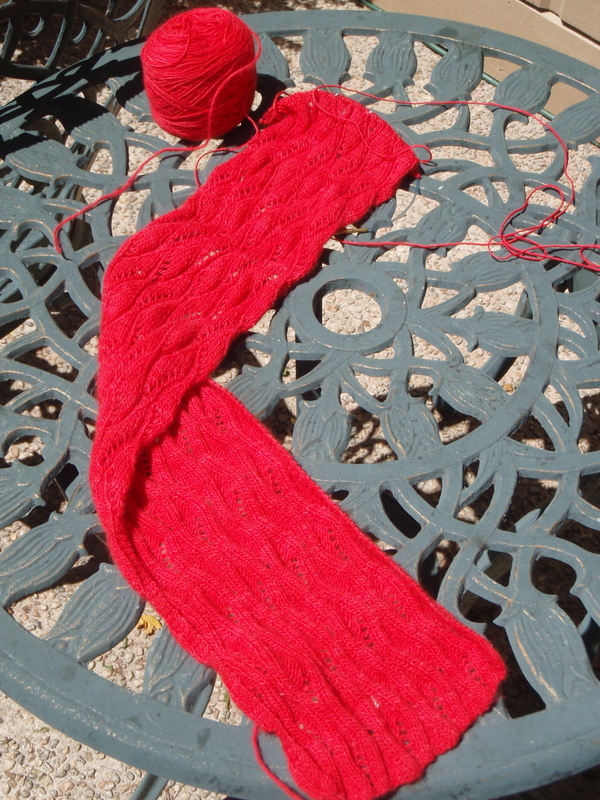 I cast on on July 1st (yes, I did violate my red and white Canada Day knitting policy). But I was really excited to get something new started. 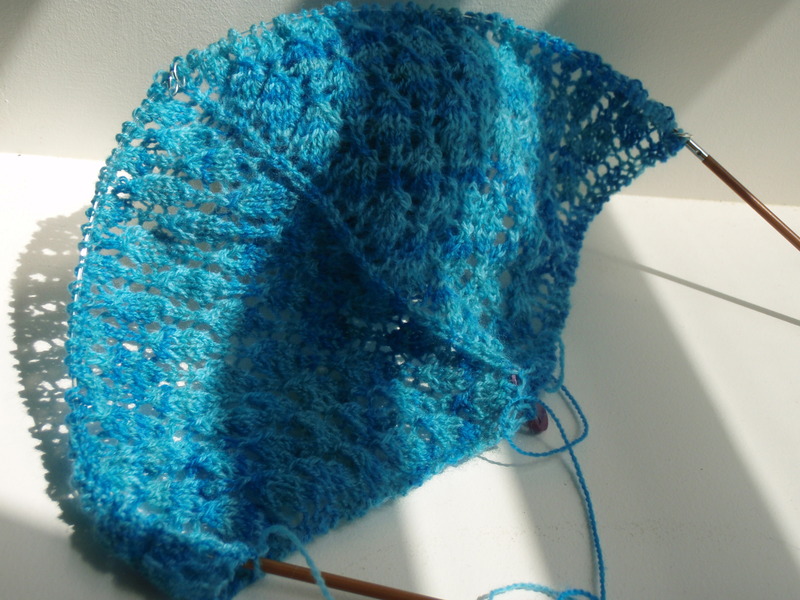 I am currently on the 9th repeat of the first chart, the Budding Lace chart. So far so good. Whenever I pick a pattern I try to choose one which allows me to learn a new skill. For this pattern I will be doing nupps for the first time. I know they are evil and all that, but then again grafting was way, way less stressful than I thought it was going to be. I was also going to learn how to do a provisional tab cast-on, however I was unable to make that work so I gave in and did the standard knitted cast-on. 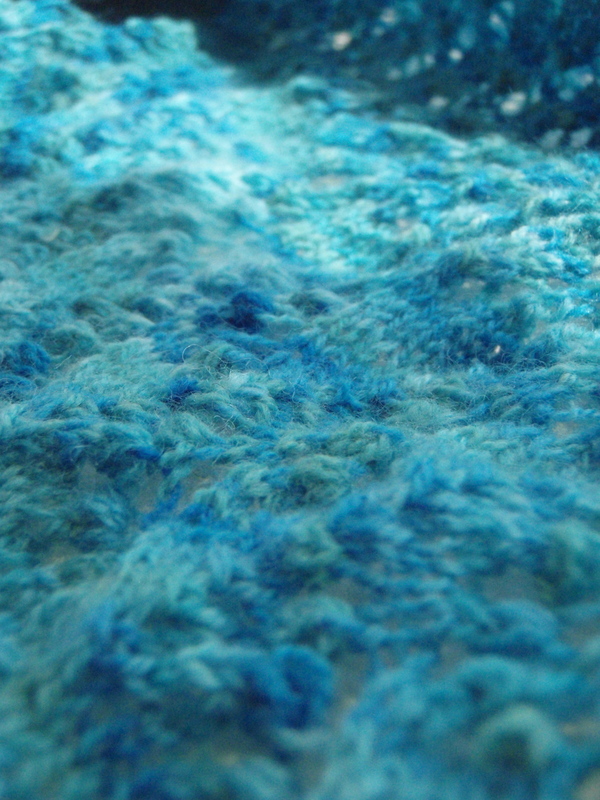 The yarn for this project is Knit Picks Shadow Tonal Lace in Blue Yonder. I also have the Queen Anne and Springtime colorways that will be used to make wonderful new things. So other than that I am still working away on my Shifting Silt Scarf and my Cherrywood Scarf. Things are moving along nicely, although after six months of working on Cherrywood, I am not sure if I have the interest to finish it before my Grannie’s 86th birthday in September (she is the intended recipient of the scarf). In honour of Canada’s 143rd Birthday I propose that all my knitting will be with red and white materials. This leaves out the Shifting Sands Scarf I have been working on for months and does allow for casting on a new project. 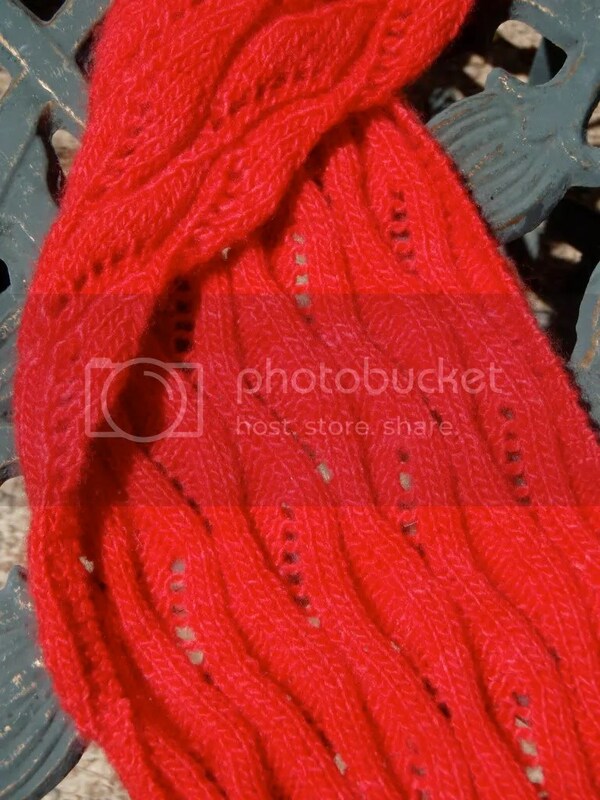 Here is my red knitting for today, my Cherrywood Scarf (Ravelry) a Knitspot pattern. Overall it has been a great pattern, but working on such small needles (3.0mm) can be tedious at times. So here is something I finished today, my Austin Market Bag (Ravelry). My awesome front loading washer was not ideal for felting but my Grandmother’s machine sure is. 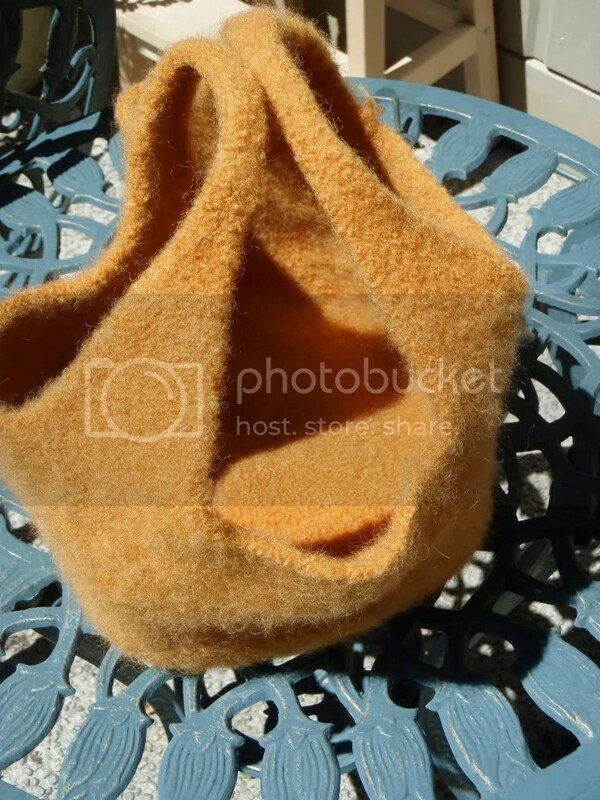 Felting this bag took far less time than I expected. Happy Knitting and Happy Birthday Canada.